Fall is the season for dark colors and that is a challenge for me...and by challenge I mean one I take the fashion world up on in my attempts to wear Fall colors in fun ways. 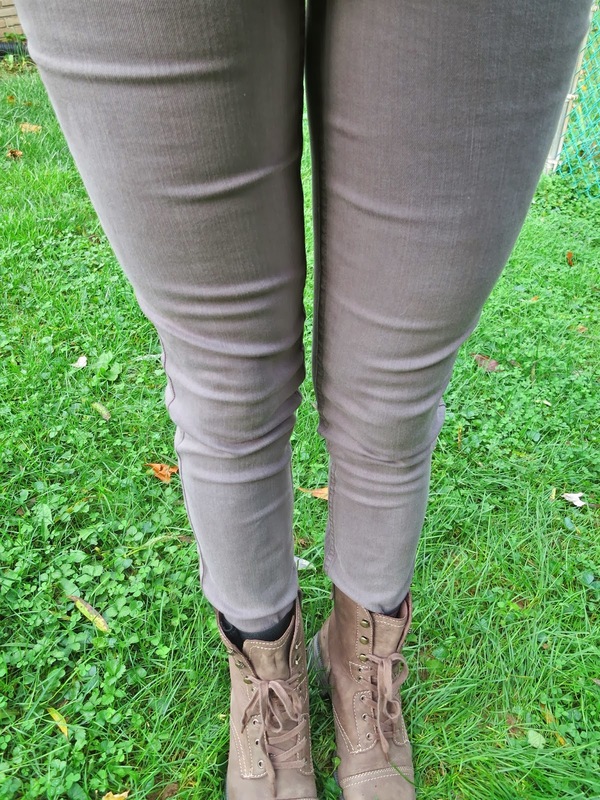 Here I took a simple dark green top and paired it with grey skinnies and brown combat boots. These skinny jeans are the Level 99 Skinny Straight Jeans in Lead from Butler's Stash. 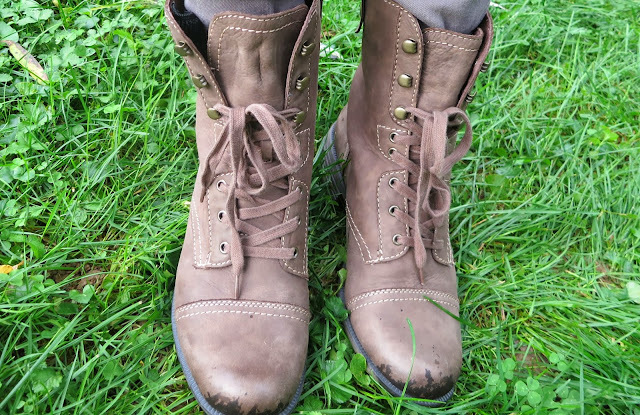 These are fantastic, they are a great fit and breathable but yet keep me warm on the chilly days. They are so easy to tuck in or to let out if I wear flats and want my skin to show. The grey color is perfect and goes with so many different outfits, wait till you see all the ways I style these in future Outfit of the Day posts! 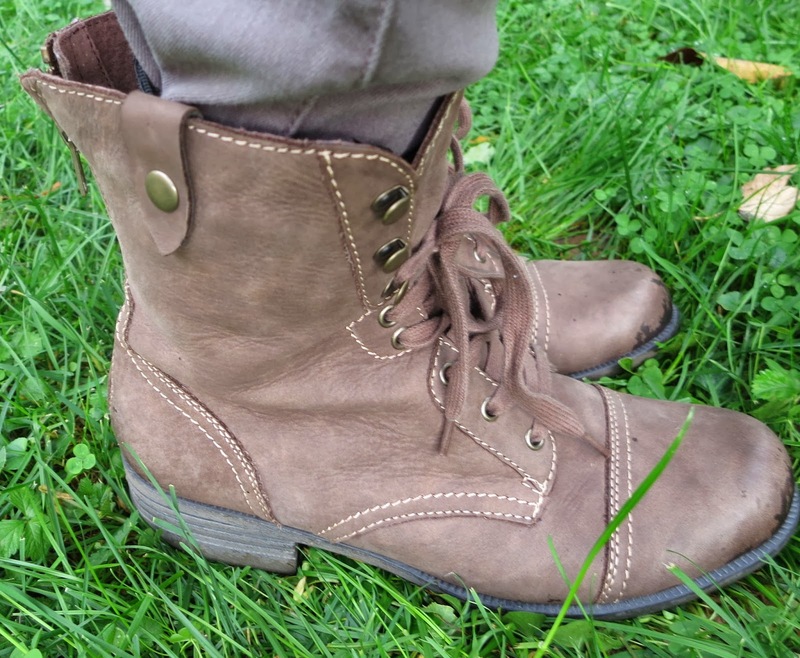 I absolutely love combat boots & riding boots in the Fall!